Stop playing ball in the house. Sound familiar? What would you do if that ball broke a bottle of wine? BOARDING SCHOOL for the offender. This is an original watercolor still life painting. It is painted in the realist tradition. 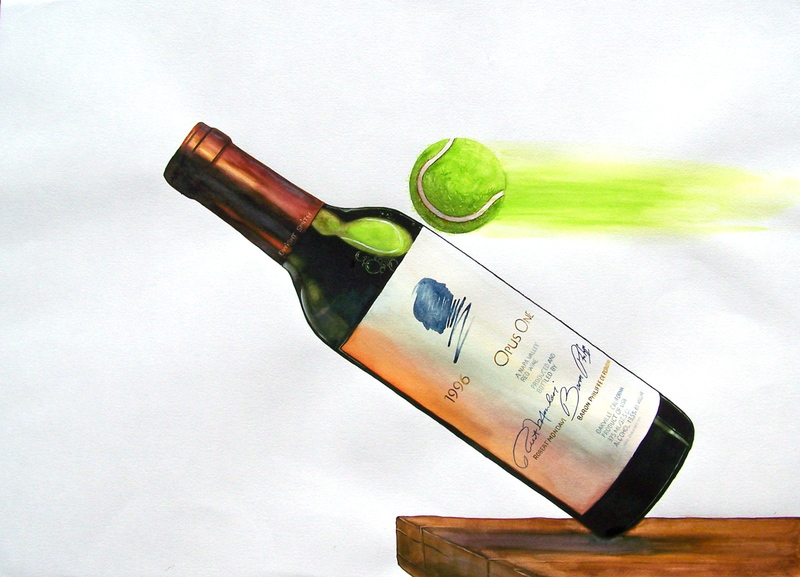 It depicts a tennis ball flying towards a bottle of Opus One wine. Thank you for giving my art a look.